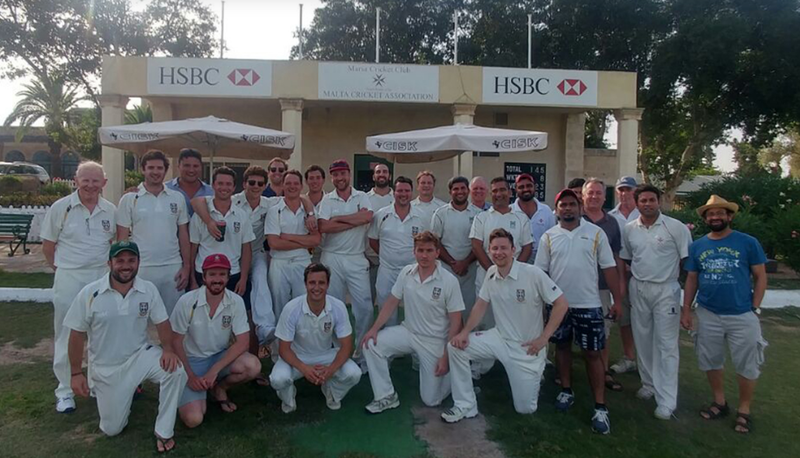 Downside Wanderers, the Old Gregorians’ cricket team of Downside School, visited Malta last weekend and enjoyed some lovely cricketing conditions. The visitors won the series 2-0 thanks to excellent performances by their bowlers. The series began on Saturday with a 40 over match under sunny skies. Downside reached a solid total of 185 all out, with Jamie Acheson (39) and Patrick Alexander (38) leading the way. Of the Marsa bowlers, Niraj Khanna impressed most with 6 tidy overs for 10 runs, however the wickets fell to the Flying Gozitan Ronnie Sacco who took 3 for 29 from his 8 overs. Despite a 50 run opening partnership from Mark Sacco (26) and Sam Aqulina (13), Marsa’s lost wickets at regular intervals. Cornelius Khan hit a promising 38 runs but their hopes disappeared with the demise of Arora and Khosla, batting far too low in the order. Marsa finished all out on 146 to give victory to Downside by 39 runs. 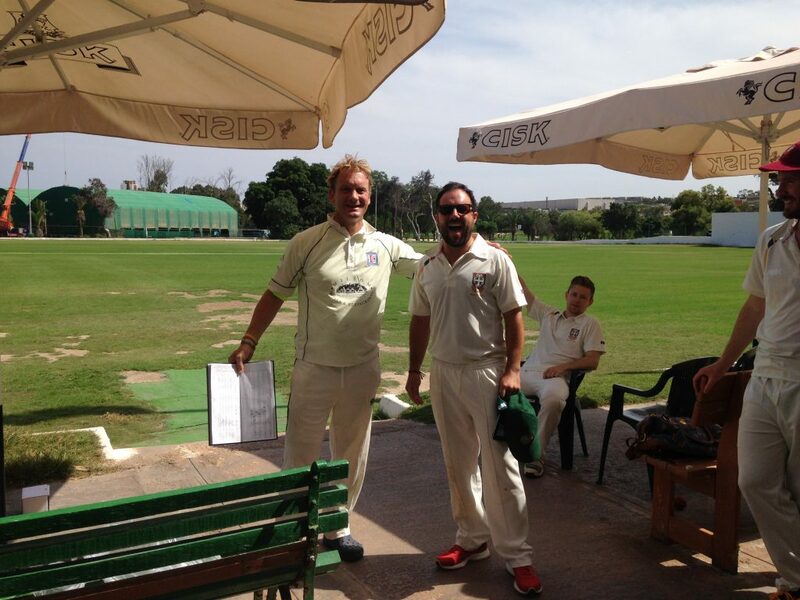 For the tourists, Dom Walker (4 for 40), Ben Parker (3 for 44) and Hugo Monro (2 for 11) were the major wicket-takers. Sunday’s T20 started with Downside batting first and reaching a modest 111 for 8. 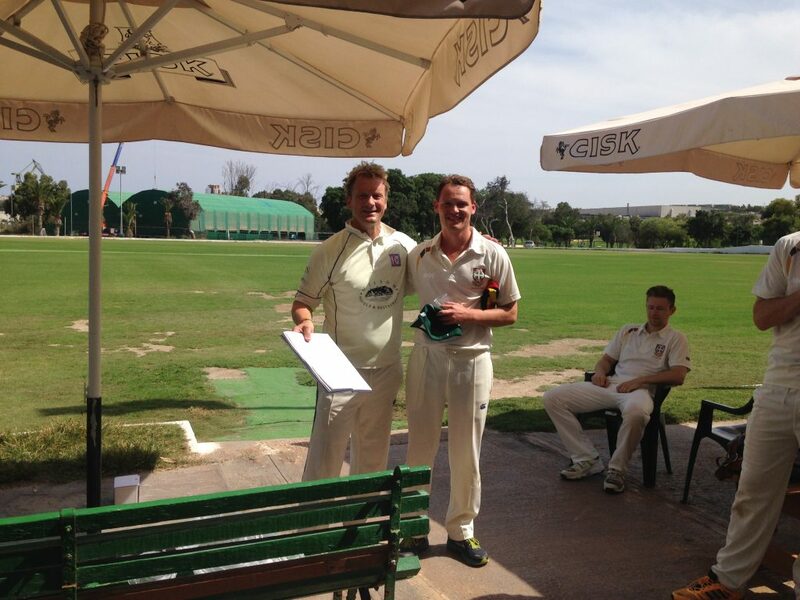 Jamie Acheson resurrected the innings with a timely 24 runs off only 16 balls. Marsa junior Suhrid Roy snared 2 for 20, while Ravi Sharma captured 2 for 6. In reply, Marsa’s batting was again in tatters with the score at 65 for 5 in the first 12 overs. Bikram Arora (25) threatened to take the game away from Downside but was dismissed with just 30 runs required. His departure sparked a batting collapse of 5 wickets for 8 runs. Marsa fell short once again, this time by 18 runs. Player of the Match, Chan Monro took 3 wickets for 21, while Hugo Monro and Dom Walker took 2 wickets apiece. Umpires: Les White and Allan Swift. Player of the Series: Dom Walker. Downside Wanderers 185 all out (J.Acheson 39, P.Alexander 38; R.Sacco 3-29); defeated Marsa 146 all out (C.Khan 38; D.Walker 4-40). Player of the Match: D.Walker. Downside Wanderers 111 for 8 (J.Acheson 24; R.Sharma 2-6); defeated Marsa 90 all out (B.Arora 25; C.Monro 3-21). Player of the Match: C.Monro.